Remember when you were a kid, gazing up towards a huge rock face or boulder thinking, “I want to climb that.” It’s that same sense of spirit that drives the team at Asana every day. Asana began in Boise, Idaho, in 1999 with a mission to produce “Everything Bouldering.” Bouldering is rock climbing without the ropes and harnesses, so gear like crash pads, which are placed on the ground while climbing, are absolutely essential. Being in Idaho, Asana knows what it takes to climb boulders in amazing areas like City of Rocks, Swan Falls and Dierkes Lake. 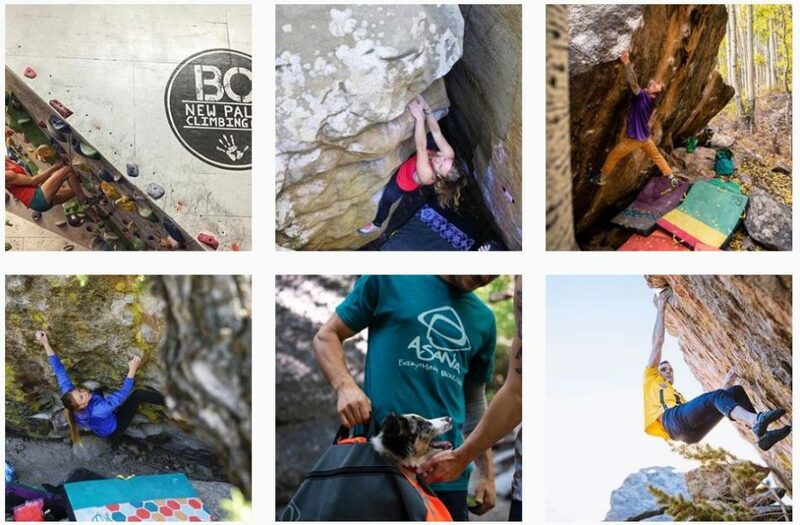 From this experience, Asana in turn produces some of the highest quality bouldering products, like crash pads, chalk bags and backpacks to equip climbers with essential bouldering supplies. As rock climbing and bouldering grow in popularity, climbing gyms have popped up seemingly everywhere to provide a place for climbers to practice and play. Asana saw this as an opportunity to expand their product offering and design, and outfit climbing gyms with everything needed for a first-class facility, such as custom flooring, pads, mats and climbing holds. Being an industry leader in consumer bouldering gear and outfitting some of the best climbing gyms in the world would be enough for most companies, but adventurous souls rarely stop at the top of one boulder. As the typical boulderer will, they search for the metaphorical endless field of boulders to “send” their next project. After having helped design and outfit gyms across the country, Asana had the opportunity to purchase a building perfect for, you guessed it, a bouldering gym. Now, in addition to manufacturing their line of consumer products and products for climbing gyms, Asana runs their own world-class bouldering/climbing gym in Boise. The brand has now grown to over 30 employees — a very close, family-like group who are focused on living a lifestyle packed with work and play. Most employees are climbers or backpackers, with a love for the outdoors and an appreciation for the adventurous life that living and working in Idaho allows them. The team at Asana is passionate about producing the highest quality bouldering products available and knowing their accessories have been Tested in Idaho.